Even on the coldest of days, we are always sheltered by His love. 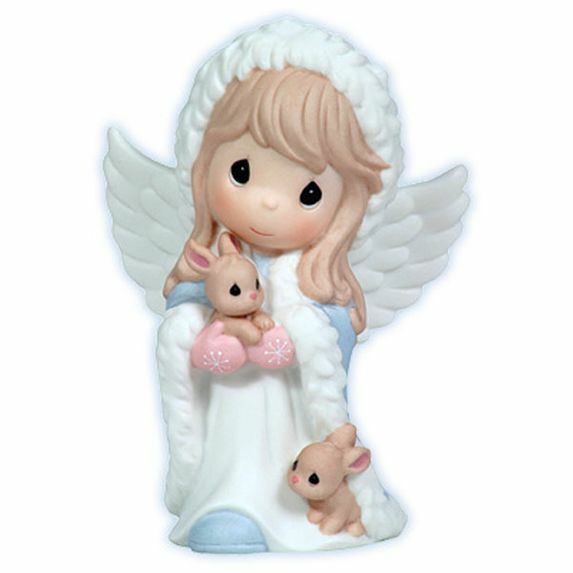 As lovely and pure as gentle drifts of snow, this wintry angel reminds us that this is the time of year to be mesmerized by the miracles of the season. Bisque porcelain figurine. Item#: 113094 - Height: 7.00"